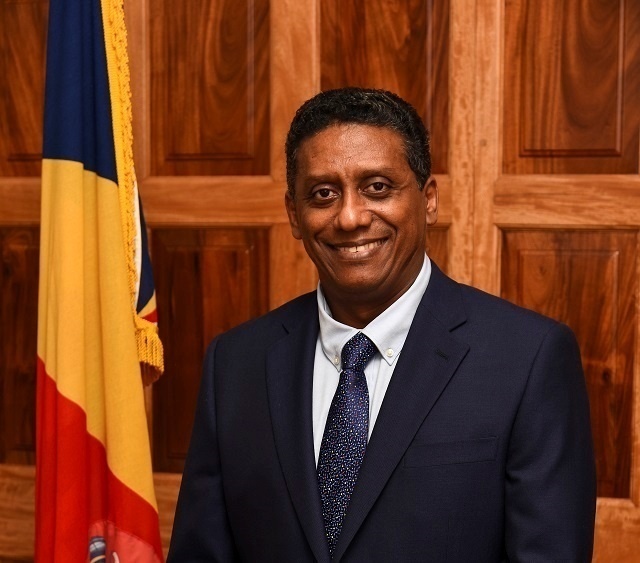 (Seychelles News Agency) - President Danny Faure said Tuesday in a televised address that Seychelles' democracy continues to evolve, its citizens live in freedom and that progress made in the island nation is being noticed internationally. The address marked two years since Faure was sworn in as the fourth president since the island nation gained independence from Britain in 1976. He succeeded outgoing President James Michel, who resigned. The ideas of transparency, accountability and good governance – three principles by which the president has sworn to lead the country - were prominent in his speech. “In the last two years, we have worked together to put in place frameworks that will guarantee the existence of strong institutions, because I believe that strong institutions practice good governance and defend and protect the rights of citizens and ensure the country’s progress,” said Faure. He credited these achievements to the continuous implementation of policies and his practice of a non-interference leadership. Faure said such a practice has allowed institutions to work in line with the law that governs them and also take decisions and be held accountable. Last month the United Nations Human Development Index placed Seychelles in the 62nd position out of 189 countries, putting the island nation first in Africa. On October 2, at the end of its mission in the country, the International Monetary Fund (IMF) described Seychelles’ macroeconomic performance as strong. The monetary fund further added that despite a difficult world economic environment, Seychelles is on the right path with a positive prediction for 2019. Also in October, the World Bank placed Seychelles 43rd out of 157 countries on the Human Capital Index, first in Africa and first in the region. “Our achievements have not happened by chance. The accomplishments of our country are thanks to the dedication, hard work and participation of every Seychellois,” said Faure. The head of state went on to say that during the past two years much have been done to increase participation in the governance and steering of the country. “I continue to increase the participation of the private sector on the governing boards of institutions. This has led us to a place where the private sector and the civil society have a better understanding and appreciation of the challenges that Government faces,” said Faure. The president said that when he came into office, the country was in a state of division – a time where politics had divided families, friends, and workplaces.